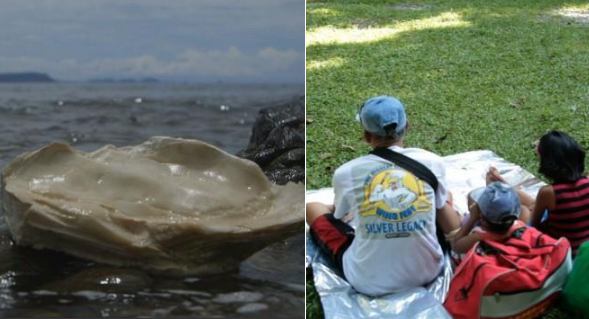 Home / News / Samar Fisherman Longs to Get Back Giant Pearl that possibly Worth Millions! Samar Fisherman Longs to Get Back Giant Pearl that possibly Worth Millions! 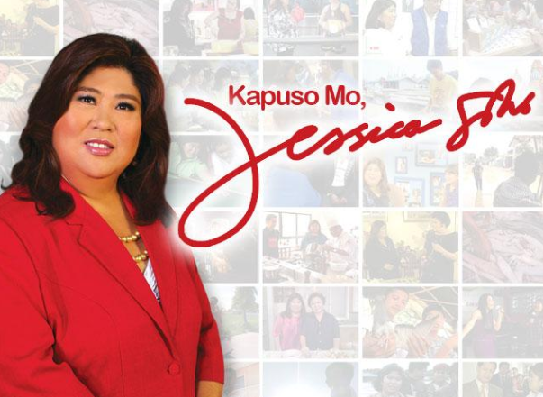 'Kapuso Mo, Jessica Soho', or also known as KMJS, a Philippine television news magazine show broadcast by GMA Network and hosted by Jessica Soho, recently aired an episode concerning a fisherman from Samar Philippines, who allegedly found a giant pearl worth millions of pesos, but unfortunately lost his possession of it and presently attempting to get it back. The fisherman who's real name and identity were concealed, shared how he had been plunging to catch fish to sustain his family, when he found the eight-kilogram giant pearl that measured 38 centimeters long and 17 centimeters wide. This happened in the days after Typhoon Yolanda destroyed their province. Andoy (not his real name), narrated how he incidentally found the pearl. He recalled that it was the time of typhoon Yolanda when he decided to fish in the sea because they do not have any food to eat. "Kasi ‘yung perlas na 'yun, nagkataon lang. Wala kasi kaming ulam kaya pumunta ako ng dagat, kasi siyempre sa buhay nga ng probinsiya, ‘yung bagyong Yolanda pa ’yun," he said. "Naninisid kasi ako. Hindi ko akalain na makita ko ‘yung pearl na 'yun," Andoy said. According to Andoy, he took the pearl home, showed it to his father, kept it and buried it on the ground. He likewise recalled how the pearl served as his lucky charm when he returned to the ocean to fish, however Andoy said, it as well brought him hardships like he injured his foot and parted ways with his wife. "Naghiwalay kami ng misis ko dahil nga sa hirap ng buhay. Wala na akong makain, wala na akong mapuntahan," he said. At that point he saw an episode of KMJS that highlighted another fisherman in Palawan, who additionally found a giant pearl. That was the time when he realized what he had just found. "Tapos noong pagkakuha ko noon, eh di ipinakita ko kay Tatay tapos tinago ko, inilibing ko doon sa lupa. Tapos pagkagabi, napanood ko ‘yung galing Palawan. Parang ito na yata ‘yung nakita ko kahapon," he recollected. From then, Andoy worked in a church mission in Tacloban for three months. Luckily, the church, as he stated, loaned him P8,500 to travel to Manila to search for people who could help him to determine if the pearl he gained was genuine. 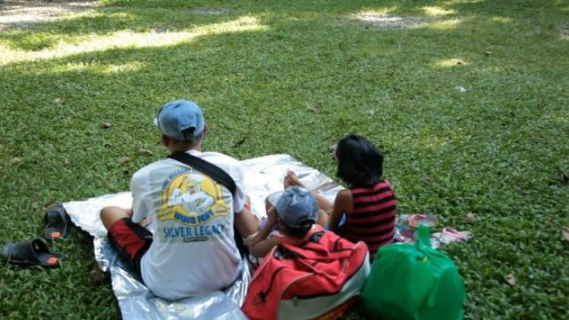 Andoy and his children, with the pearl in their custody, thereupon went to Manila, stayed in Luneta for three days before making a beeline for GMA to ask help from "Kapuso Mo, Jessica Soho." KMJS the immediately counseled the Bureau of Fisheries and Aquatic Resources (BFAR), which affirmed that the pearl was actually real and could have a value worth of millions of pesos, but nonetheless, BFAR said the pearl still needs to undergo carbon dating to actuate its age and real value. Now after five months, KMJS came back to Andoy for an update. According to one of the countries most watched show nationwide, Andoy is presently working in a construction in Manila and had allegedly pawned his pearl to his boss in return for P30,000 and another P46,000. The fisherman as per KMJS said that he and his boss had concurred that the boss would return the pearl to him when he pays her back. KMJS then loaned Andoy the money for him to pay his boss, but sadly, he appears to have encountered some problems attempting to recover his prized pearl back. As per Andoy, his boss revealed to him that the pearl is longer with her, but is now kept in a bank, thus, promised that she would return it to him on Monday. The fisherman however wants to get the pearl as quickly as possible so he decided to actually visit his employer. However, as per him, the mother of his boss has allegedly threatened to have him killed in the event that he visits them at home. Likewise, Andoy seeked assistance so as the barangay officials went with him and escorted the latter to attempt and recover the pearl., but then the boss' family allegedly declined to open their doors. KMJS additionally attempted to contact his boss, yet there was no answer from the last mentioned. Gratefully, it has been said that the following day, Andoy managed to contact his employer and consented to meet on Monday to complete their exchange. Now the question as per KMJS is, will Andoy at long last gets his giant pearl back?